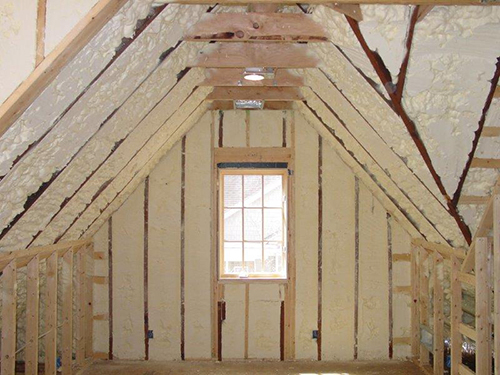 Anchor Insulation is a licenced Icynene spray foam insulation installer in Rhode Island ( RI ), Massachusetts ( MA ), and Connecticut ( CT ). 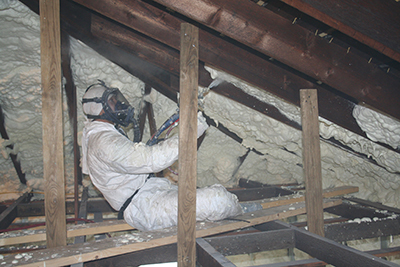 Foam insulation is a popular choice in insulation. Open-cell foam insulation remains flexible after installation the integrity of the building envelope seal remains intact over time. 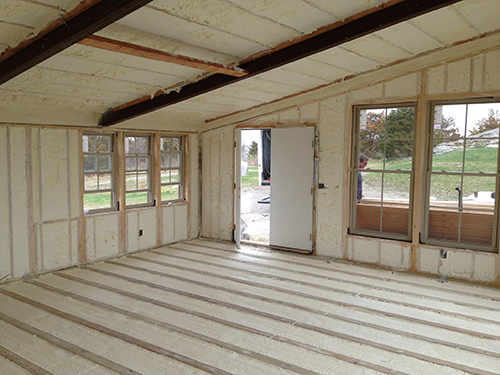 Foam insulation comes in two forms: Open-Cell and Closed-Cell. The benefits to open cell foam is that it provides an insulation and air barrier, it is vapor permeable, able to accommodate seasonal movement, is not a food source for mold, and also dampens sound. The typical R value to the open cell foam is 3.7 per inch. Anchor Insulation is an Icynene Licensed Dealer. Icynene Classic spray formula has an R-value of 3.7 per inch. It acts as a complete insulation and air barrier to minimize air leakage and seal the building envelope for optimal airtightness. Icynene®'s pour fill variation is an insulation and air barrier that injects the latest building technology into an older building to maximize energy efficiency while still preserving its original architectural details. Since Icynene expands in the direction of least resistance, it will not expand outward and damage the wall. The pour fill formula has an R-value of 4 per inch.